?nder the terms of China’s accession to the WTO, Beijing agreed to be labeled a non-market economy (NME) until 2016. This is a decision it now regrets. While WTO status has seen Chinese exports benefit from most favored nation (MFN) tariff status in a host of countries, the country’s continued NME status has been a real nuisance. Although more than 50 countries currently recognize China as a "free market", the United States, China’s largest export market, along with Japan and the EU, still do not. These three markets absorb 50% of China’s exports. In America’s case, the 1930 Tariff Act requires that the Department of Commerce use six critical criteria when deciding on NME designation. These criteria include: free bargaining and flexibility of wages; foreign investment (and related restrictions); government ownership or control of production; currency convertibility; government control over allocation of resources; and "other appropriate factors". Under the US interpretation of NME, a trading partner doesn’t have to be a full-fledged laissez-faire economy. But the process does include a meaningful comparison of the economy in question with other certifiable market economies. This is where Beijing runs into trouble. The WTO allows other member states to levy sanctions against foreign products when it is determined that imports of those products have "injured" a domestic party. These sanctions take the form of anti-dumping duties (ADD) and countervailing duties (CVD). As of August 2006, over 100 WTO member countries have ADD and CVD in place. When ADD is applied against foreign goods, the official trade status of the exporting country is critical. And this is why NME status is a liability for China. In the US, for example, when a domestic manufacturer claims "injury" from dumping by foreign competition, the US government conducts a two-part investigation. First, it determines if these imports were sold in the US market for less than fair market value and caused injury to the domestic party; secondly, the Feds must determine the size of the "margin" and then apply an ADD of equal value against imports. These additional duties can range from 2% to 200%. These procedures are similar in other WTO member states. The US, alone, has over 70 ADD cases against Chinese products, ranging from agricultural products to miscellaneous machinery and consumer products. The problem with NME status comes in the calculation of the margin for a dumping claim. When the US – or any other government – attempts to investigate or audit the relevant bill-of-materials, components and labor costs generated in the exporting country, if that country is not an open market, the veracity of information provided is not accepted. Instead, it will benchmark identical or similar industries and products in other "true" market economies. Beijing has long asserted that this is unfair. For starters, the costs of producing the same item in, say, Mexico or the Czech Republic may be much higher than in China. Furthermore, economies-of-scale may be significantly different. China claims that its manufacturers continue to suffer from this kind of random benchmarking. The EU has been less draconian than the US on China’s market status, allowing an "economy-in-transition" designation. Although not as burdensome as NME, the EU will assess dumping duties on a case-by-case basis, depending on the manufacturer involved. 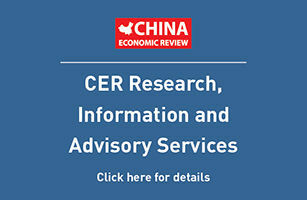 Well over half of all such assessments have ultimately resorted to benchmarking of other non-Chinese producers – particularly when the Chinese manufacturer is in a so-called "sensitive" or "strategic" industry. CVD, at this time, are not assessed on NME exports. And now back to the six criteria. Washington stresses that these "open market" criteria are a long way from being fulfilled. In addition to assertions of an overvalued currency – which remains Washington’s most vocal grievance regarding its trade deficit with China – things look increasingly ominous in other departments. Consider Foreign Direct Investment. Party officials recently announced stricter controls on foreign acquisitions of all types, including real estate and real estate development ventures. The troubles encountered by Citibank in its bid for Guangdong Development Bank, and Carlyle’s move for 85% of Xugong Construction Machinery are but two high profile examples of the growing obstacles facing foreign investors. Plans have also been introduced for new 3G mobile phone technology standards that would differ from standards used by US and EU phone makers. These, say the Americans and Europeans, reflect Beijing’s autocratic propensity to intervene in markets as well as its obsession with controlling key Chinese industries. We have yet to address that most vague of criteria: "other appropriate factors." Presumably, in political jargon, this could be invoked for more ambiguous matters, perhaps even issues such as human rights. NME will remain a highly political tool regarding China’s trading status. While Beijing may not have to hold on until 2016, it may be years before its three key trading partners come around to a different way of thinking.